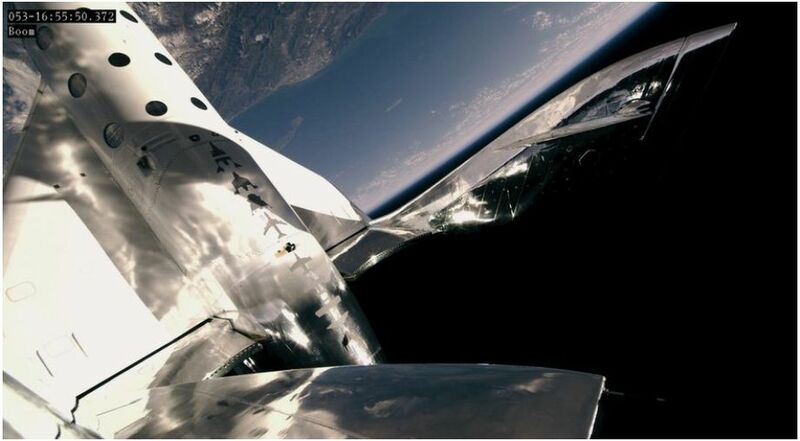 On Friday, February 22nd, Virgin Galactic’s VSS Unity completed a further test flight, its second time in just over two months, and in doing so set itself a new altitude record. 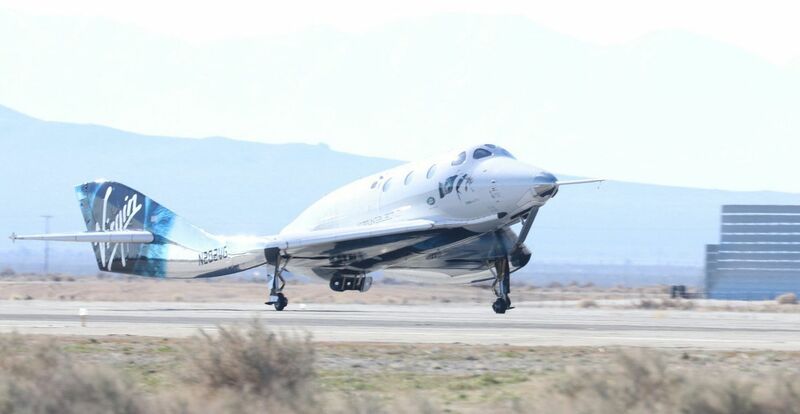 The space plane was released from its WhiteKnightTwo carrier, the VSM Eve at 16:53 UT, some 45 minutes after taking off from the Mojave Air and Space Port in California. The vehicle’s hybrid rocket moor was fired for roughly one minute, pushing the Unity and its crew of three to an altitude 89.9 km (56 mi), reaching a maximum velocity of Mach 3 in the process. After a successful “feathering” manoeuvre of the vehicle’s tail boom, Unity dropped back into the denser atmosphere and glided back to a runway landing in Mojave at 17:08 UT. The flight, delayed by two days due to high winds over the planned flight test route, marked the first time the vehicle had carried a “passenger”: Beth Moses, Virgin Galactic’s chief astronaut instructor. She made the flight with David Mackay and Mike “Sooch” Masucci, respectively the company’s chief test pilot and lead trainer pilot. All three were making their first trips into space, Moses being aboard to provide practical validation and data on aspects of the customer cabin and spaceflight environment from the perspective of “people in the back”. Her presence on the flight was not announced until after Unity had landed. Beth, Sooch and I just enjoyed a pretty amazing flight which was beyond anything any of us has ever experienced. It was thrilling yet smooth and nicely controlled throughout with a view at the top, of the Earth from space, which exceeded all our expectations. Moses also kept an eye on the flight’s special payload – four science and technology demonstration packages provided by NASA under the agency’s Flight Opportunities Programme. Three of the packages had been flown on the Unity’s previous flight in December 2018. Virgin Galactic have refused to indicate how many more test flights will be made before SpaceShipTwo starts carrying fare-paying passengers, although the company’s founder, Sir Richard Branson has indicated he hopes to fly on the vehicle in July 2019, possibly to mark the 50th anniversary of the Apollo 11 Moon landing. Speaking ahead of the February 22nd test flight, Mike Moses, president of Virgin Galactic and husband of Beth Moses, indicated that the company is in the “heart” of their flight test regime, and the focus is on expanding the envelope of flights, including their frequency, prior to committing to commercial flights. The altitudes reached by Unity thus far (just over 80 km / 50 mi on the December 2018 flight and now 89.9 km) have caused some to call into question whether or not VSS Unity has really been in space – including Jeff Bezos, who is heading Blue Origin, Virgin Galactic’s clearest rival in the sub-orbital passenger market. 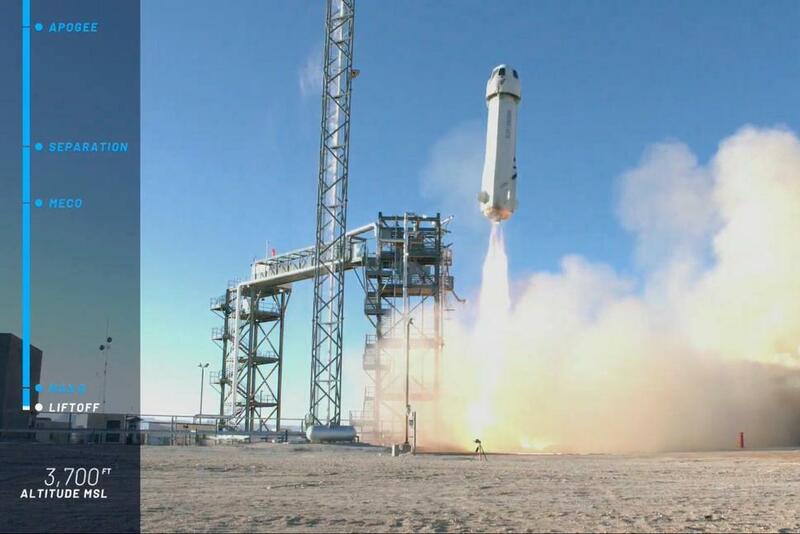 Speaking about his own company’s test programme with their New Shephard launch system, Bezos emphasised the operational difference between the reusable New Shephard rock and its crew / passenger carrying capsule and Virgin’s SpaceShipTwo. The New Shephard is specifically designed to reach altitudes of 100 km (50 mi), somewhat higher that Virgin Galactic have thus far achieved. 100 km is important, as it marks the position of the Kármán Line, considered to be the point above which where aerodynamics cease having any real influence over an aircraft’s performance, making it reliant on astronautics. Thus, it is seen by some as the boundary of space. One of the issues that Virgin Galactic will have to address, eventually, is that they are not flying above the Kármán Line, not yet … We’ve always had as our mission that we wanted to fly above the Kármán Line, because we didn’t want there to be any asterisks next to your name about whether you’re an astronaut or not. That’s something they’re going to have to address, in my opinion. 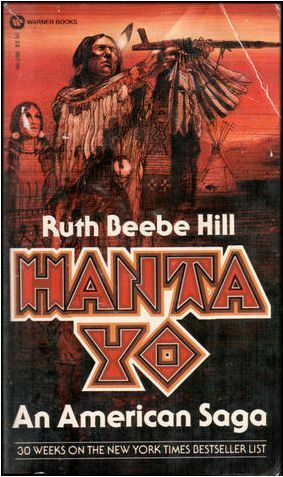 However, things are actually not that clear-cut. There is no international law defining the edge of space; for example, the United States – from which both New Shepherd and Virgin Galactic will fly (at least initially in the latter’s case) considers the boundary to be 80 km (50 mi), which Virgin Galactic can clearly exceed. Further, Theodore von Kármán, after whom the line is named, suggested the boundary could lie anywhere between 91 km and 100 km altitude. The ambiguity is exacerbated by a proposal to set the “edge” of space in international law as the lowest perigee attainable by an orbiting space vehicle – which would place it somewhere between 130 km (81 mi) and 150 km (93 mi), somewhat beyond the capabilities of either SpaceShipTwo and New Shephard, which tends to render arguments about altitude and boundaries a little moot, particularly given the fact that whether at 80-90 km above the earth or at 100 km, passengers on either vehicle will experience the same degree of weightlessness. 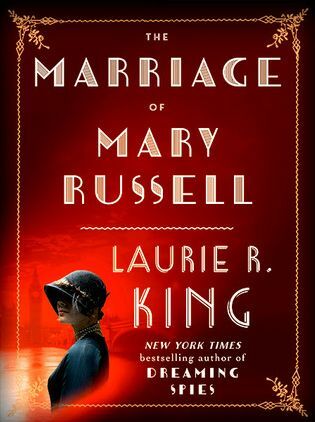 With The Marriage of Mary Russell, here recounted in voice Savanah Blindside, Corwyn Allen, and Caledonia Skytower, Laurie King revisits the nuptials between the two in a short story that also helps to fill some of the blanks around the relationship between Russell and Holmes.